allCards receives compensation from some companies issuing financial products, like credit cards and bank accounts, that appear on this site. Unless a post is clearly marked "Sponsored", however, products mentioned in editorial articles and reviews are based on the author's subjective assessment of their value to readers, not compensation. Compensation may impact how and where products appear on non-editorial pages (e.g., comparison or "marketplace" pages). That said, our standard is that we will never accept advertising from a product which we wouldn't use ourselves. The editorial content on this page is not provided by any of the companies mentioned, and has not been reviewed, approved or otherwise endorsed by any of these entities. Opinions expressed here are author's alone. The Discover it® Cashback Match™ comes in two versions. The long balance transfer version offers a 0% APR for 18 months, but 0% APR on purchases for just 6 months. With this version, you get 0% APR on both balance transfers and purchases for 12 months. Discover has always been best known for offering 5% cash back in rotating categories and that hasn’t changed. This version of the Discover it® offers a 0% APR introductory rate on balance transfers and purchases for 12 months. It also comes with no annual fee and provides free access to your FICO score. You could turn $200 into $400 with Cashback Match™. We’ll automatically match all the cash back you earn at the end of your first year. New cardmembers only. Earn 5% cash back in new bonus categories like gas, restaurants, Amazon and more – up to $1500 every quarter you activate. Plus, unlimited 1% cashback on all other purchases. FICO® Credit Scores for free on statements and online. There are three components of the Discover it® rewards program: (1) 5% cash back; (2) 1% cash back; and (3) Double cash. 1. 5% Cash Back: This card offers 5% cash back on categories that change each quarter. These categories include gas, home improvement and department stores. They are rotating categories which change every quarter so you have to stay on top of what the categories are so you can maximize your earning. Keep in mind that the 5% cash back is on $1,500 in combined purchases per quarter. Once you’ve charged $1,500 to the card for the 5% category, any additional purchases will earn 1% cash back. 2. 1% Cash Back: On all purchases that fall outside the 5% categories you will earn 1% cash back with no spending tiers or caps. 3. Double Cash: The first year only, Discover doubles your cash back at the end of the year. The card offers a 0% introductory rate on purchases and balance transfers for 12 months. Note that there is a 3% fee on balance transfers. There is no fee for taking advantage of the 0% introductory APR on purchases. Freeze ItSM on/off switch for your account: This cool feature enables you to freeze or unfreeze your card in seconds with Discover’s mobile app or via its website. This is a great feature if you lose or misplace your card. Track your recent FICO® Credit Scores for free: Stay on top of your credit and avoid surprises. Now you can see your recent FICO® Credit Scores in one easy-to-read chart on monthly statements and online. Plus see the key factors online from your credit history that affect your score the most. $0 Fraud Liability: You’re never responsible for unauthorized purchases on your credit card. Last Minute Payment: Pay your bill up to midnight (ET) the day it’s due by phone or online. Credit cards for excellent credit areintended for those with a credit score of 700 or Higher. Late Payment Fee: None the first time you pay late. After that, up to $35. The Discover it® – 18 Month Balance Transfer Offer credit card offers a combination of lucrative cash back rewards, 0% introductory APR on balance transfers and purchases, free access to your FICO score, and all without charging an annual fee. also an excellent option for those wanting to transfer high interest credit card balances to a 0% card. With no annual fee, no over limit fee, no foreign transaction fee and no late fee on your first late payment, the Discover it® card is extremely consumer friendly. 1. 5% Cash Back: Discover offers card members 5% cash back on up to $1500 in purchases each quarter in select categories. The category of purchases that qualify change each quarter. Categories include purchases on gas, restaurants and home-improvement stores. 2. 1% Cash Back: On purchases above the quarterly $1500 limit or in categories that don’t qualify for the 5% rewards, Discover pays one percent cash back. 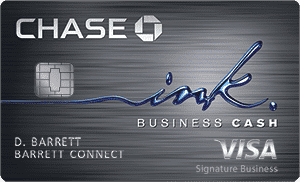 This version of the Discover it® card is best known for its balance transfer offer. You get a 0% introductory APR on balance transfers for 18 months. The card also offers a 0% introductory rate on purchases for a period of 6 months. This is ideal if you are making a big purchase and you know you will need some extra time to pay it off. Redeem Any Amount, Any Time: You can redeem your cash back for any amount at any time. And your cash back never expires. Service and security built around you: Discovers 100% U.S. live service is available any time you call. Or rely on powerful, fast mobile and online service. Discover ships replacement cards overnight for free to any U.S. street address at your request—even on vacation. And Discover will never hold you responsible for unauthorized purchases on your Discover card. Track your recent FICO Credit Scores for free: Stay on top of your credit and avoid surprises. Now you can see your recent FICO Credit Scores in one easy-to-read chart on monthly statements and online. Plus see the key factors online from your credit history that affect your score the most. The BankAmericard Cash Rewards™ Visa Signature® Card is a rewards card ideal for those looking for a little of everything. The card offers excellent cash rewards, a $100 signup bonus, and a 0% introductory rate on purchases and balance transfers. This card is one of the most popular on the site. It offers up to 3% cash back (see details below), a 0% introductory APR on purchases and balance transfers for 12 months, and a $100 cash signup bonus (again, see details below). And it manages to do this without charging an annual fee. Excellent or good credit required. 0% Introductory APR for 12 billing cycles for purchases AND for any balance transfers made in the first 60 days, then, 13.24% – 23.24% Variable APR. 3% fee (min $10) applies to balance transfers. If you’re a Preferred Rewards client, you can increase that bonus to 25%-75%. Click “Apply Now” to learn more about Preferred Rewards. 1. $100 Bonus: Spend $500 within the first 3 months and you will earn a $100 cash back bonus. 2. 3% Cash Back: Bank of America pays 3% cash back at on gas up on the first $1,500 in combined gas and grocery purchases each quarter. Note that the 3% is on gas purchases, but the limit combines gas and grocery purchases. I can hear you asking–where did the grocery purchases come from? I’m glad you asked. 3. 2% Cash Back: You’ll earn 2% on grocery purchases up to a combined spending limit of $1,500 on gas and groceries each quarter. 4. 1% Cash Back: On all purchases that fall outside these higher payout categories you will earn 1% cash back with no spending tiers or caps. 5. Bank of America Customers: You’ll earn even more if you bank at BofA. First, you’ll get a 10% customer bonus every time you redeem your cash back into a Bank of America® checking or savings account. And if you are a Preferred Rewards client, you can increase that bonus to 25%-75%. The BankAmericard Cash Rewards™ Visa Signature® Card offers an introductory rate of 0% for 12 months on purchases and for any balance transfers made in the first 60 days, then, 13.24% – 23.24% Variable APR. Note that there is a 3% fee (minimum $10) on balance transfers. Rob Berger founded allcards.com in 2008 to help consumers make data-driven decisions about credit cards and banking. A retired trial attorney, he's written about credit cards, banking and personal finance since 2007, and is the author of Retire Before Mom and Dad. He currently serves as the Deputy Editor of Forbes Money Advisor. Advertising Disclosure: allCards.com is an independent, advertising-supported blog offering financial product comparisons. We are compensated when users click links to or apply for sponsored financial products including, but not limited to, credit cards or bank/brokerage accounts. Credit card reviews and listings express the opinions of the author aline, and not those of any credit card issuer. The content has not been reviewed, approved or otherwise endorsed by the credit card advertisers. Banking Content Disclosure: Content is not provided or commissioned by the bank advertiser(s). Opinions expressed here are author's alone, not those of the bank advertiser(s), and have not been reviewed, approved or otherwise endorsed by the bank advertiser(s). This site may be compensated through the bank advertiser(s) Affiliate Program(s).